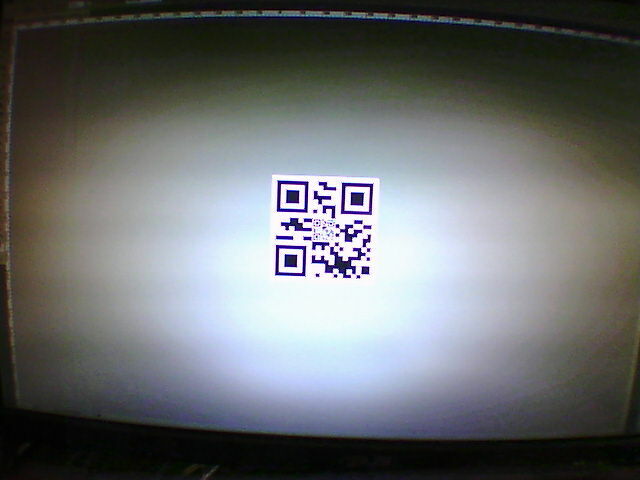 Nested QR code with the Sumo's wheels against the monitor. To implement "auto-docking" I am intending to use a 7x7cm square nested QR code target and the Sumo's FPV camera. The QR nesting allows detection and recognition at distances up to 50cm whilst remaining accurate right up the moment of touching the docking station. The pictures shown here are actual snapshots from my Jumping Sumo's FPV camera (640x480 resolution). 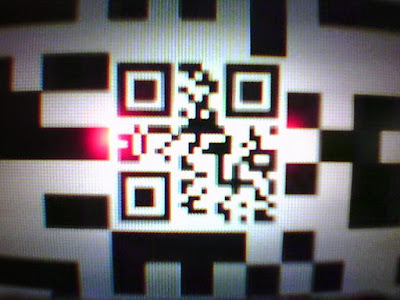 Same QR code image at an approx range of 30cm from the monitor. This code successfully recognises the two QR codes in these test images, though it takes about half a second to do so. Next up, a docking control loop!